A totally unique project from the Daniel Scott team. 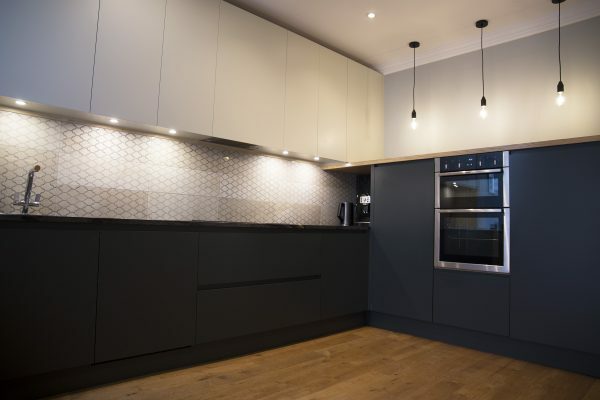 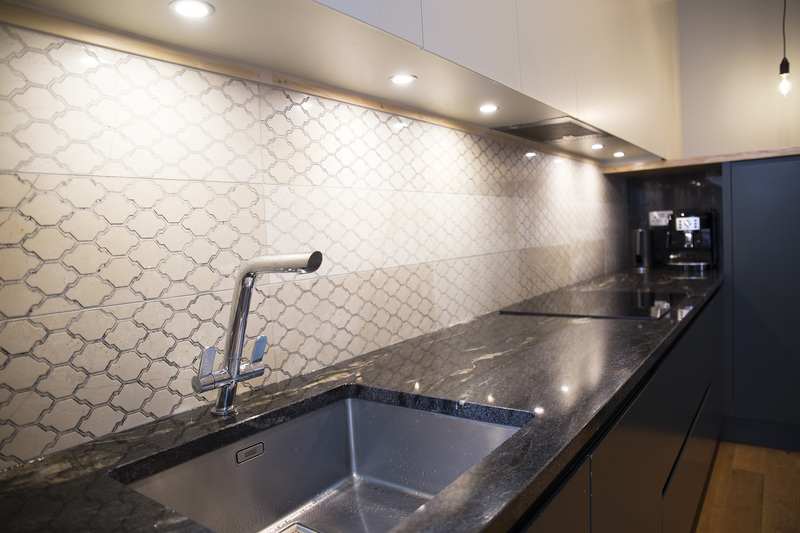 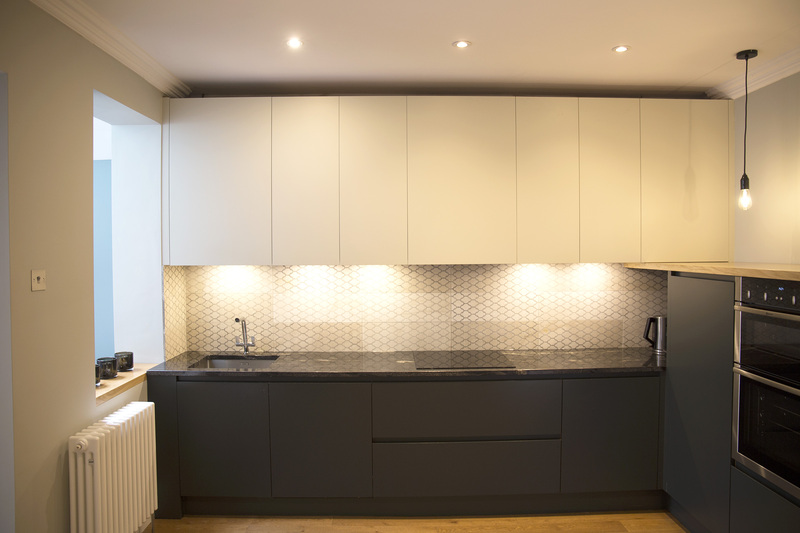 The challenge to design and build a contemporary style kitchen, that utilized every space possible was something that we enjoyed immensely last year. 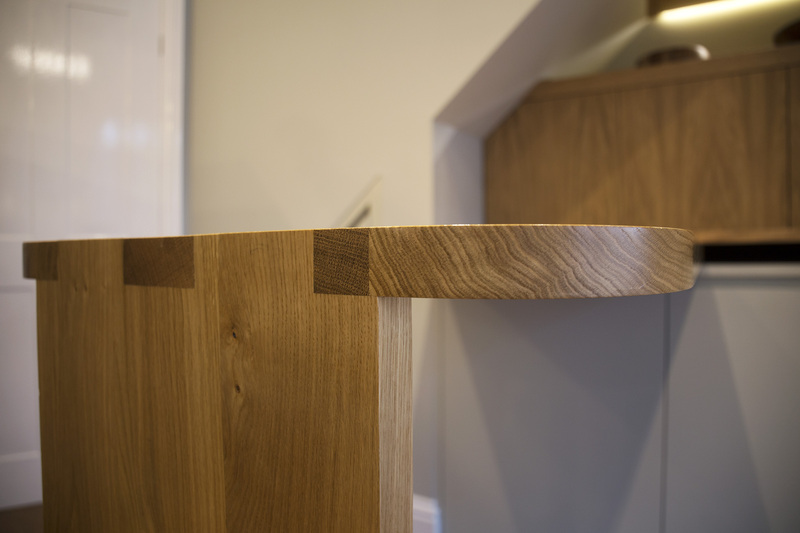 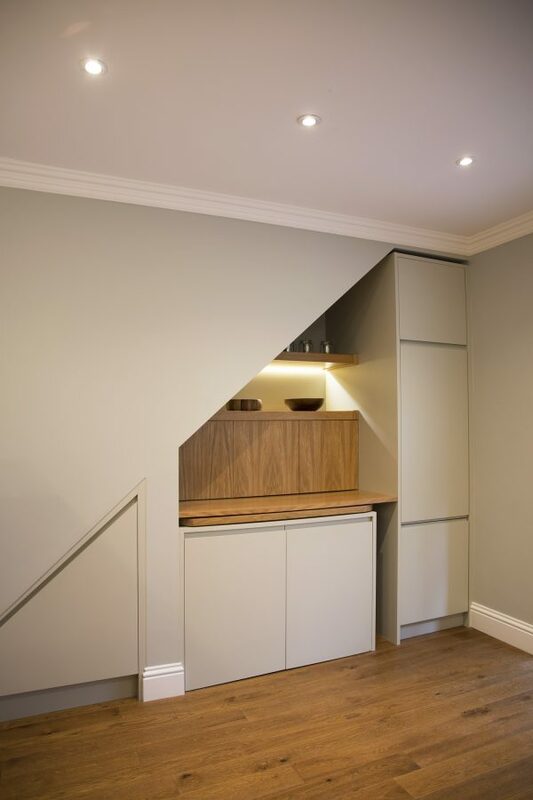 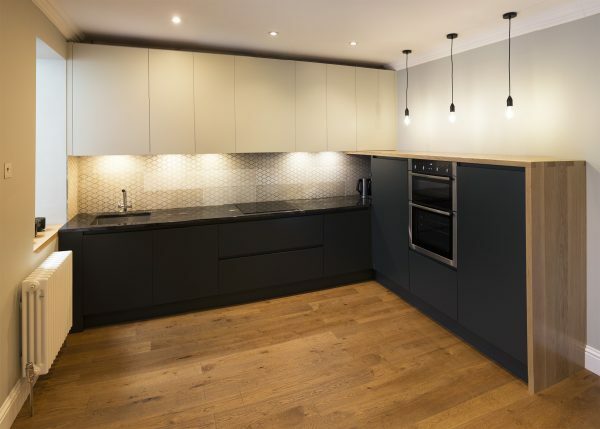 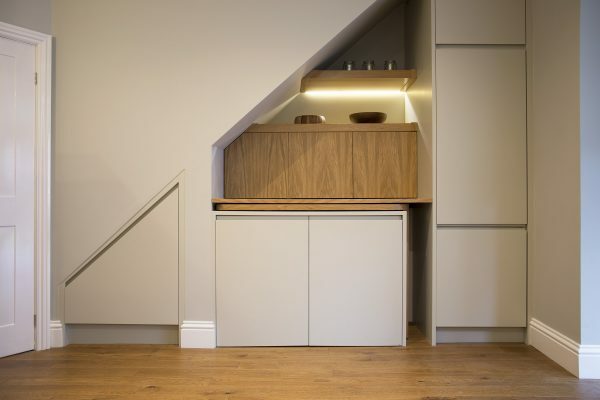 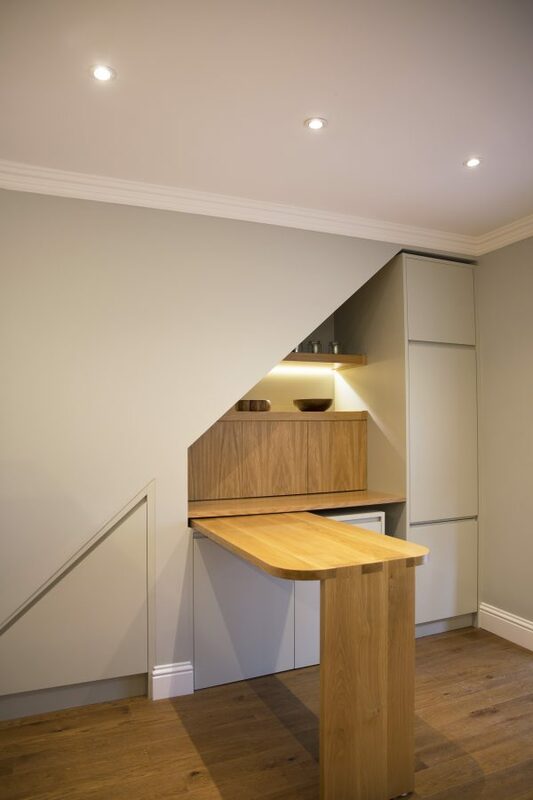 Everything from the hide away solid oak breakfast bar, to the bold geometric shapes, to the overstated traditionally hand cut dovetails, all contribute to make this a very exciting kitchen.